I made a ko-fi account so i figured it would be fitting to make a pic for it. There is a sweet spot for me where the milk soaks up the bitterness but let the fruity part of coffee shine. No sugar needed for me. Same, but I need sugar or artificial sweetener. It depends a great deal what kind of coffee you drink. Real espresso without any milk or sweetener is unbearable, and if you have a good dark roast you can mix it half with milk and its flavor is still really strong. But watered-down American drip coffee is so weak to begin with, that it loses all flavor if you look at it cross-eyed. I drink espressos and I need at least a mug full of milk with sugar to enjoy it. 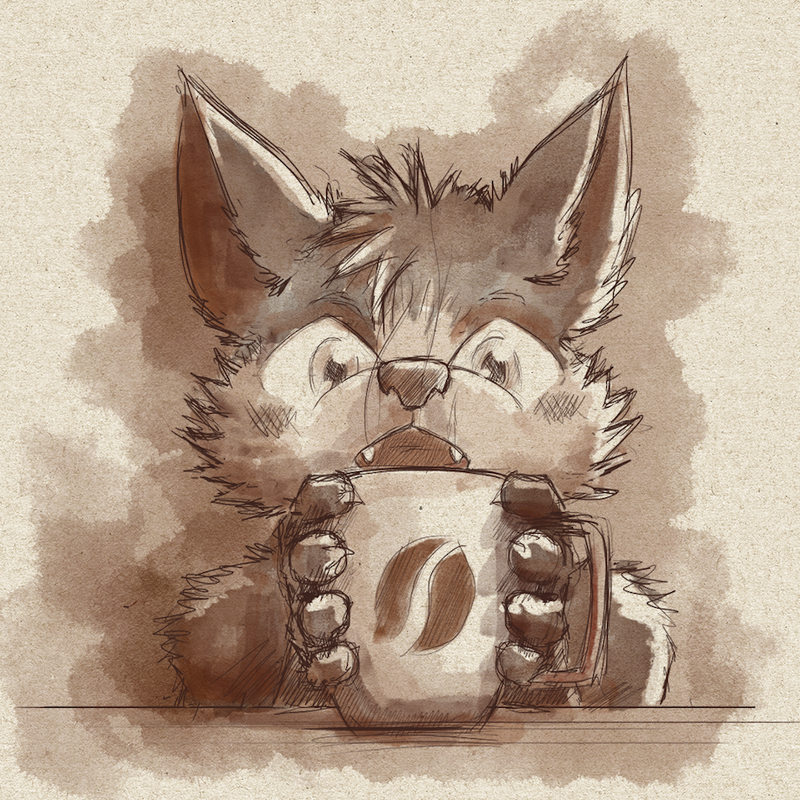 Aww coffee isn't good for a young wolfy like you. well um um... i just had my bday and that um.. that means im like all grown up n stuff. xDDD " *spits* ... aaaah bitter >.<'"
Kitteh approves of beverage selection.